In part one of the free vector resources for Illustrator, we discussed Creative Commons licensing and gave you some of the best sources. Leading on from that post, here’s 5 more resources that should help you to create stunning vectors, whatever the project. Illustrator is a powerful and highly useful program for creating vectors for use in a variety of business material, such as logos, illustrations, charts, graphs and more. These can be used in both print and web promotional material and are increasingly used to create art for the web by illustrator ‘artists’. 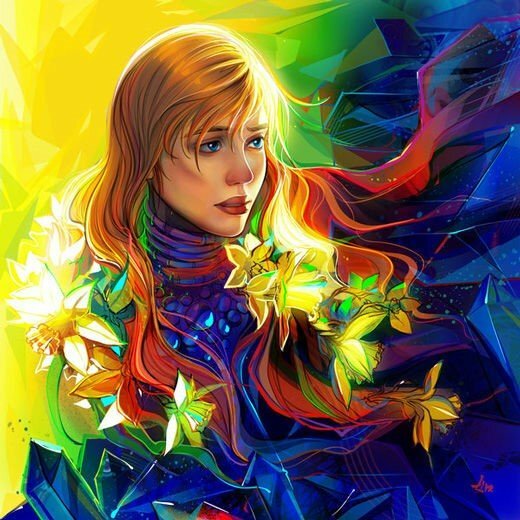 For example, the image below by Deviant Art artist Miko was created using vectors to amazing effect. For the most part, it’s likely that you’ll be investing in training to learn how to use vectors for business and website purposes. This means that eventually, you’ll need to find free vector resources to help you to learn your craft. Vector images allow you to create designs that are clean and are capable of scaling both up and down without pixilating or losing quality. Vector images are made up of paths, rather than pixel grids, which are a combination of start and end points using a combination of shapes, angles and lines. These then ‘speak’ to each other via mathematical formulas which is the clever part that allows them to be scaled up and down. This means that vector images are much more versatile than gifs, jpegs, etc. and can be used in all promotional material. With this in mind, we’ve put together some of the best resources on the web for finding free vectors online for you to work with in illustrator. NOTE: Whilst these are listed as free resources, do always check that the vectors are marked to use commercially under the correct Creative Commons license. Vector Portal has a wealth of vector art that can be used to create designs of any type for both personal and commercial use. The site is simple to navigate and you can find flags, logo elements and much more, as well as guidelines for using vectors which are connected to large brands, cities and so on. You can also find premium vectors here, as well as Photoshop brushes and further resources. 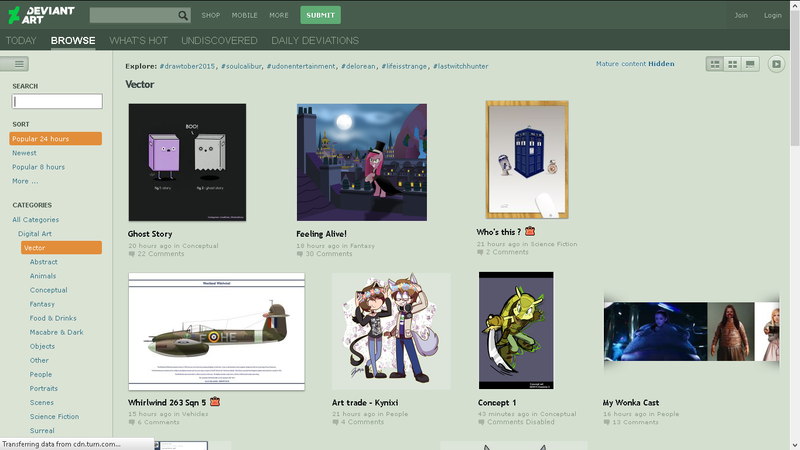 Deviant Art is perhaps one of the most diverse and popular sites online for vectors and other resources. It’s also an excellent example of how well vectors can be used as there are plenty of artists showing off their work. However, it can be difficult to navigate in order to discover freebies, so do be careful and use the search function to narrow down your search. Deviant Art is a rich source of ideas and inspiration, but you will have to ensure that you have permission to use any vectors found here. For more information, give the copyright policy a good read through and if necessary, contact the artist to get permission to use their art, or aspects of it. 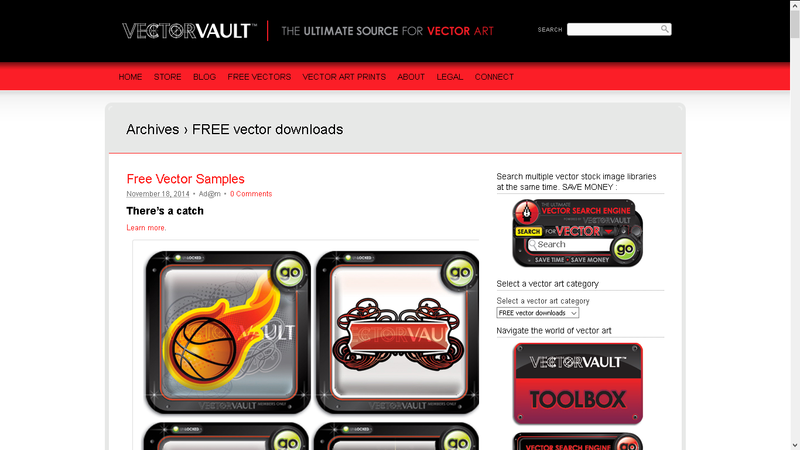 Vector Vault contains a wealth of free vectors and a search engine to help you to find further free and paid-for vectors. It has an engaged community of other vector artists and illustrator enthusiasts of more than 22,000 people, so it’s likely that you’ll find something that you need here – and even make friends of the same mindset and similar interests to your own. Free Vector Archive is a lovely little resource for discovering free vectors. Collect the best looking free vector art and deliver it to you in the user friendliest way. Also, we won’t forget the artists who spend their valuable time creating all these freebies – at least a visible backlink is a guarantee! 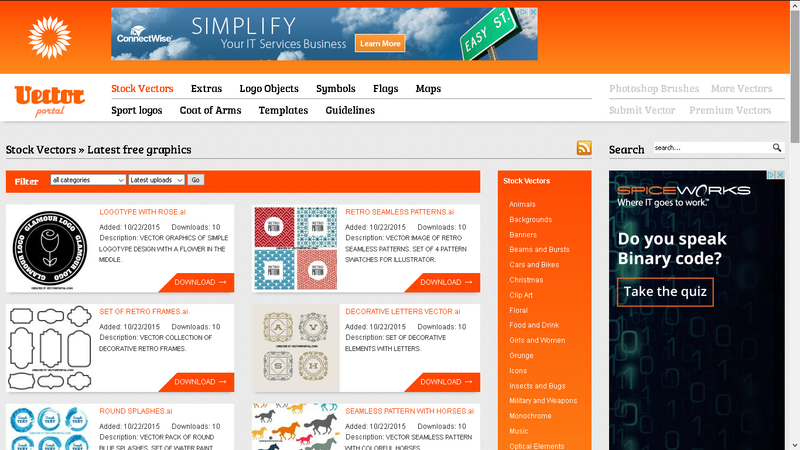 Our vision is to become the biggest and user friendliest free vector archive on the Internet. You can search for vectors to use in your Illustrator designs and the site invites you to submit suggestions on how to improve or extend it. You can also upload your own vectors and get more heavily involved in the community – even perhaps working collaboratively with others in order to create your own stunning art whilst improving your skills! Flaticon is a great resource for vector icons of all types and has a lot of choice as well as the ability to download in different formats for use in Adobe products. It even has a plugin that you can add to Adobe Illustrator, Photoshop and After Effects, so that you can find icons and graphics without the need to get on the web – instead just use the plugin to search for the graphics that you need. The free account is fairly limited and you do have to credit the artist with a link, or you can sign up for a premium account at $9.99 per month – which seems worth it to me if you’re planning on using Illustrator a lot once you’ve completed your course with Creative Studios Derby. When searching for vectors, it’s vital that you pay attention to and familiarise yourself with licensing and attribution. Some sites, such as Pixabay, allow you to download everything for free and requires no attribution at all (but you can donate a ‘cup of coffee’ to the artists) – but this is very much in the minority. Most sites ask for artists to be credited in some form, depending on how the graphic is used. There are plenty of resources out there and it can get quite confusing when it comes to licensing, so in order to protect yourself, it’s as well to ensure that you get up to speed with the necessary requirements. Web Designer Depot, a blog for designers, regularly gives away free or cut-price vector packs too, so it’s worth signing up for their newsletters. Once you’ve learned how to use vectors in Illustrator properly, you’ll be able to create designs that are not only assets to your business, but also give you the perfect opportunity to showcase your creative talent. Fancy developing your creative talents with Illustrator? Why not give us a call today on 01322 986924 or drop us a line at info@creativestudiosderby.co.uk. We cater for all levels, online or in person. This is so useful thank you!